Create your own Epson Stylus Photo 700 inkjet pack / bundle with our flexible quantity discount pricing. Mix and match products so you are only purchasing what you need, but also maximizing your savings. Remanufactured Color Ink Cartridge with 300 page yield. Equivalent to Epson part number(s): S193110, S0200193, S020110. Fits the following model(s): Epson 700, Epson 700C. Remanufactured Black Ink Cartridge with 370 page yield. Equivalent to Epson part number(s): S187093, S020187, S020093. 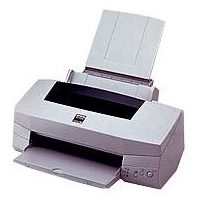 Fits the following model(s): Epson 700, Epson 700C. 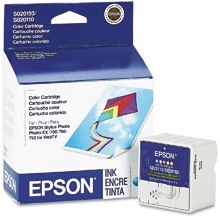 Buy our high quality compatible ink for Epson Stylus Photo 700 with confidence. Join thousands of happy customers who have found our compatible products are equivalent in page yield and print quality. For our compatible products, we offer a 100% Satisfaction Guarantee allowing you to return products within 6 months if you are unsatisfied. While the Epson Stylus Photo 700 and 700c are two of the least expensive options for users in need of a home photo printer, but these inkjet devices lack several key elements often seen in photo units. The 700's slow output speed is one reason it's at the bottom of its class, printing only around 3 pages per minute for photos and 4 pages per minute for graphics. As a result of low-yielding Stylus Photo 700 printer ink and a limited bundle of features, this slow photo printer is hard to recommend when there are other affordable models with more versatility and quicker speeds. The 700's design includes only the most basic serial and parallel connections, omitting popular connectivity options such as memory cards slots, USB and PictBridge ports. Another cornerstone feature of a photo printer this device leaves out is a color LCD, which gives users the opportunity to preview images and make edits. The machine doesn't even have a monochrome LCD for quick updates on job progress and printing errors, relying on the software to do all the heavy lifting. What the 700 does include is fairly limited, such as a 100-sheet media capacity and memory of only 64 KB that will allow the machine to handle light-duty use. The printer's single input tray can support media like glossy photo paper, envelopes and greeting cards. Reviews for the device cite that its main benefit is the sharp image output achieved when using specialty photo paper, printing with a maximum resolution of 1400x720 dpi using color Epson 700 ink. While the unit's 6-color Epson 700 ink cartridge system allows it to print photos with more color detail, it also makes it more expensive to use compared to models using only 4 colors. The unit uses one black printer ink and packages cyan, magenta, light magenta, light cyan and yellow Stylus Photo 700 ink into a single supply. Each black replacement can yield around 370 pages and the color Epson 700 ink cartridge has a capacity of only 300 pages. Other than its ability to print a fine quality color photo, the 700 is a lower-end home photo inkjet printer that suffers from a simplistic build and some of the slowest speeds in its class. In addition, the cost of supplies over time will exceed the unit's low price tag and make it pricey to own.